Sage Washington is having an out-of-body experience — literally. That’s because her old body is lying in a coma while her new, immortal body has gone back to work — re-toned and cougared to about age twenty and wired to process information faster than Google. It’s pretty sweet for the formerly forty-two-year-old software executive, who now thinks nothing of working most of the day and night, needing only fifteen minutes to recharge in a 24-hour cycle. But her team is not so thrilled at being dragged at warp speed through dozens of new software upgrades — at the blistering rate of one a day — and the revolt is building. Soon, Sage realizes there are significant downsides to being superhuman. For one thing, there’s her romantic life. Sure, the new upgrade allows her to have multiple orgasms, leaving her lovers panting and exhausted. But there’s very little sensory satisfaction that goes with it. It’s all very — well, mechanical, for lack of a better word. Another thing — she can’t eat or drink her favorite foods, wines or morning lattes, lacking taste buds to appreciate them, or a stomach in which to deposit them. Very inconvenient when out to dinner with her “posse” — her very closest girlfriends. But all in all, the pluses outweigh the minuses — until she comes to a startling realization that could cause her to be transitioned back to her failing biologic body — a difficult choice she must make within 30 days. 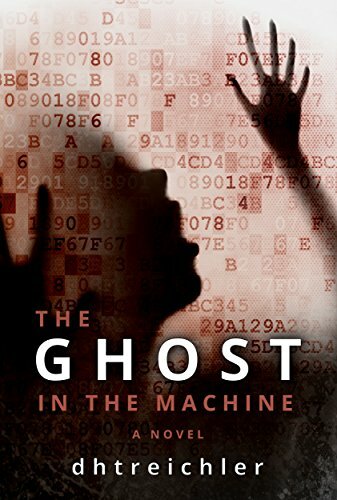 The Ghost in the Machine is first-class science fiction, drawing the reader plausibly into a premise that could become reality within decades. Author dhtreicher masterfully interweaves this tale of immortal possibilities with ultra-realistic glimpses of day-to-day life inside a giant multinational corporation. He lays bare the power struggles and intense jockeying for position at the highest levels with great clarity and insight. And he details carefully as well the toll taken on both Sage and her coworkers as they blow past expectations to gain the undivided attention of rapt Wall Street investors. This book is a triumph of storytelling, fusing bleeding-edge technology with the human equation and carefully crafting characters you’ll care deeply about. From Sage’s workaholic father, with whom she has a problematic relationship — to her giddy girlfriends, always “there” for her, even through this incredible life-altering experience — each character is given depth and texture, making them come right off the book’s pages and into your heart. Five stars to The Ghost in the Machine. Not since Heinlein has there been such a well-delivered piece of futuristic writing, deeply imbued as it is with man’s tendency to overreach the boundaries of good science and good sense.